JOHANNESBURG – ZIMBABWEAN captain, Knowledge Musona, stands a chance to finish as the top goal scorer when curtain comes down for the Africa Cup of Nations (AFCON) qualifying matches this weekend. Nicknamed the “Smiling Assassin”, the Belgian-based forward is expected to lead the Warriors’ line against Congo Brazzaville at the National Sports Stadium in Harare on Sunday. He leads the scoring charts with three goals. His rivals to the accolade have two goals. These include Ima Andriatsima (Madagascar), Raphael Dwamena (Ghana), Cedric Bakambu (Democratic Republic of Congo ‘DRC’), Moussa Sow (Senegal) and Seydou Doumbia (Ivory Coast). Meanwhile, teams from the Southern African Development Community (SADC) region and East Africa are poised to seal qualification to Africa’s prime football competition. Angola, DRC, Malawi, Mozambique, Namibia, South Africa, Tanzania and Zimbabwe are on the verge of qualifying to Egypt provided they avoid defeat this weekend. minutes stand between their prospects if their teams qualifying or bowing out. hurdle. 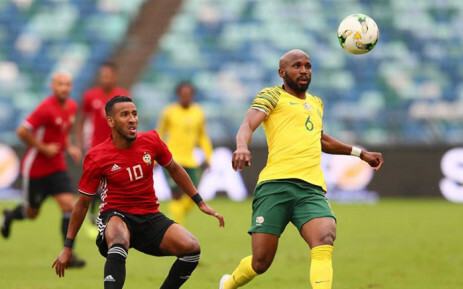 It will be exciting watching SADC teams shine at the AFCON finals as opposed to watching other regional football nations,” said Idah Marcos of Mozambique. Ronald Coetzee of South Africa expressed hope eight nations from the aforementioned regions qualify for the AFCON. “This would enable the widest choice to watch our national teams,” Coetzee said. In the current run scheduled for weekend, only Madagascar have already qualified with a game to spare whilst 8 other SADC regional member states are on the verge making it to Egypt if they win or draw their matches. Southern African teams have largely been punching bags in the AFCON since the tournament began in 1957. Only South Africa (in 1996) and Zambia (2012) have won the competition.